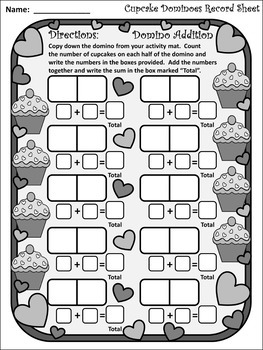 This Valentine's Day math center activity serves not only as a fun math skills practice for your students but also as the classic game. 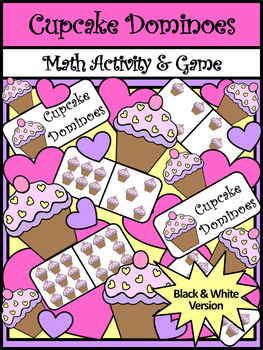 Each tile is embellished with scrumptious cupcakes and Valentine's Day hearts to herald the coming of the holiday. 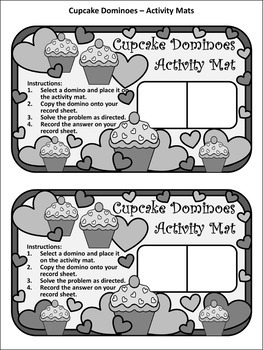 Packet includes an instruction sheet, student record sheets, student activity mats, and 55 Cupcake Dominoes double nine tiles. 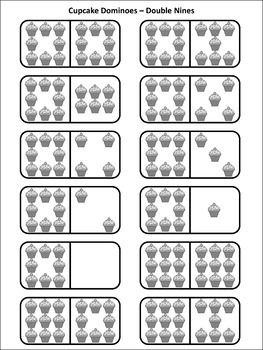 This packet is a Black & White Version ONLY. It is specially optimized to print well on black & white, grayscale, and monochrome printers.